Whether large or small, restore your customers’ diesel engines performance and efficiency with an ADVANTAGE ENGINEERING DIESEL FUEL PRO. 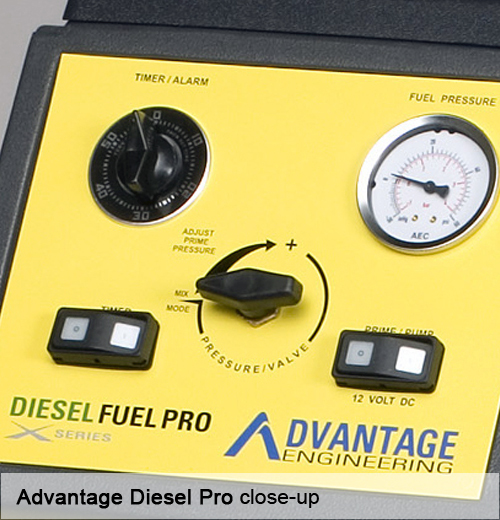 Easy to use, the ADVANTAGE ENGINEERING DIESEL FUEL PRO, is a safe and effective way to maintain and optimize diesel fuel performance and reduce emissions, fuel consumption, and down time. 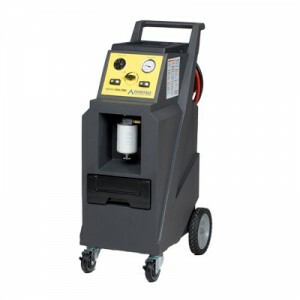 The system circulates a mixture of diesel fuel and Advantage Engineering Premium Diesel Fuel System Cleaning Solution with the engine off and running. 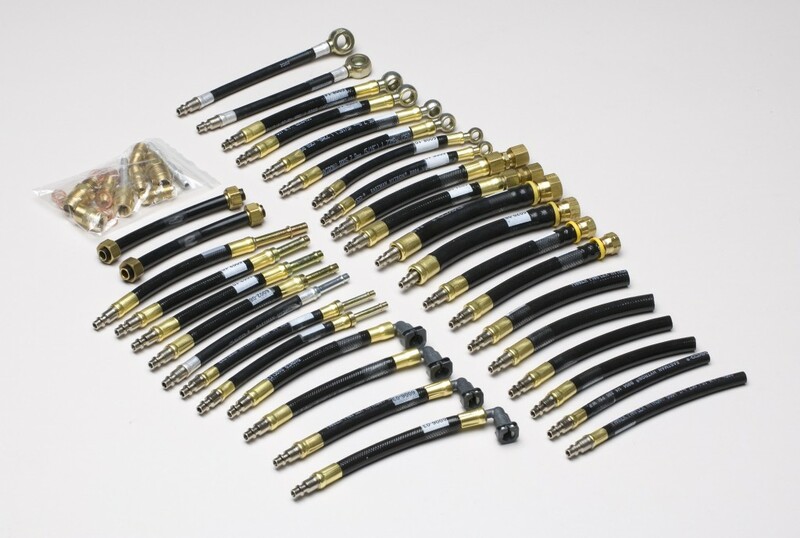 In the process, accumulated deposits and contaminants are loosened, dissolved, and passed through the exhaust system where they are combusted or filtered out with ADVANTAGE ENGINEERING DIESEL FUEL PRO filters. Combustion chamber and pintle valve deposits are significantly reduced in the process. Built in the USA, the ADVANTAGE ENGINEERING BRAKE PRO is offered with a limited 1 year warranty, ongoing training, and responsive service staff. Why Diesel Fuel Pro from AEC?